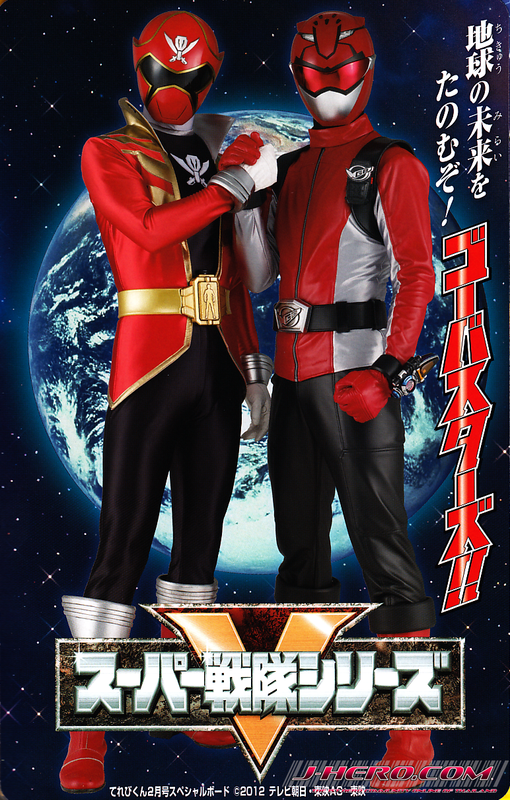 Yesterday saw the end of the Gokaiger series (hence us calling Gokaiger “recently-ended” in our Super Sentai GCC). But that only means that the next series, Go-Busters, begins next week! For the preview of the new series and the annual passing of the torch between Red Rangers, check out our newest friends, Henshin Justice Unlimited! Now, as much as I love Super Sentai, it’s time to get my head in the game for the end of Toku Month with this week’s Geek Crash Course on Godzilla! This entry was posted in Currently Geeking and tagged go-busters, godzilla, gokaiger, japan, movie, sentai, super sentai, toku month, tokusatsu, TV. Bookmark the permalink.